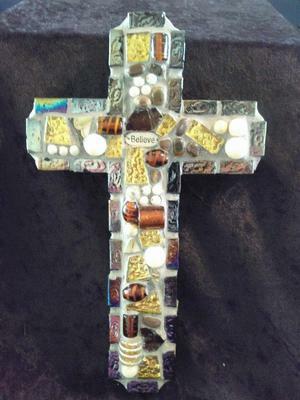 I started out working on crosses, one of a kind mosaics crosses. Everyone loved them. Then larger pieces developed over time. 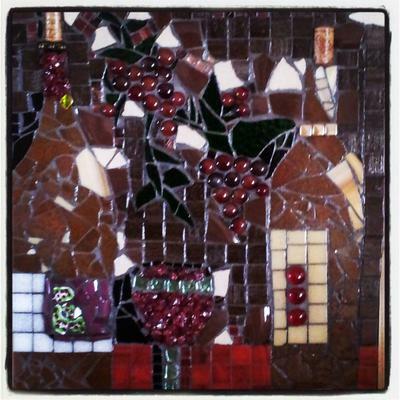 Now I love to create anything mosaic. 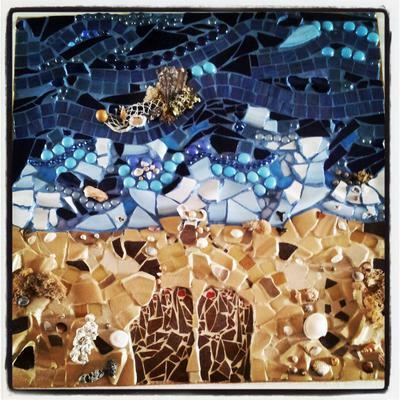 I have had several pieces in art exhibitions in Florida and enjoy teaching the craft. I am self taught.